For better or worse, with the advent of digital photography, photos like this no longer exist. They would be promptly deleted or never printed. 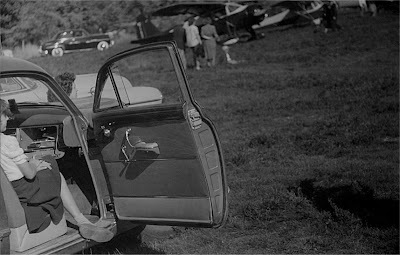 The photographer managed to miss the cars, airplanes and people but did manage to take a great shot of the passenger door from a 1950 Buick! 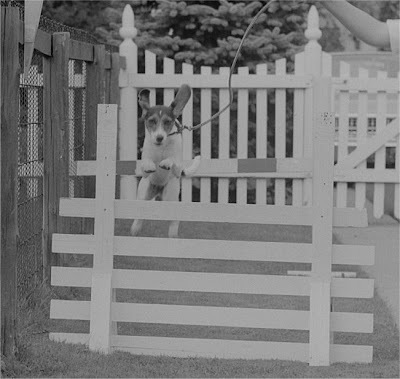 This photo reminds me of what I think was a Ken-L Ration dog food commercial. The jingle was something like "My dog’s better than your dog! My dog’s better than yours! My dog’s better ‘cuz he eats Ken-L-Ration!" Does anyone else remember this? Does anyone know the location of the above photos? The photos come from a strip of three negatives. The freighters indicate that the photos were most likely taken near a city with access to the Great Lakes. If anyone can identify the bridges or provide any information about the photos, it would be greatly appreciated. The negatives are from the 1940's. Thanks to MikeM for identifying the above photos. All photos were taken in Toledo, Ohio. The first photo is of the Anthony Wayne Bridge. The bridge was built in 1931 and spans the Maumee River. If you would like to learn more about the bridge and see numerous color photos, please click here. The second photo is of the Cherry Street Bridge, which is now known as the Martin Luther King, Jr. Bridge. The bridge, which also spans the Maumee River, was completed in 1914 at a then unheard of cost of one million dollars. Please click here to see color photos of the bridge as well as a vintage post card. The third photo features the Toledo & Ohio Central coal dock. Coal was delivered via rail to a large coal dumping machine. The machine then transferred the coal to ships as depicted in the photo. .....went to the country club! 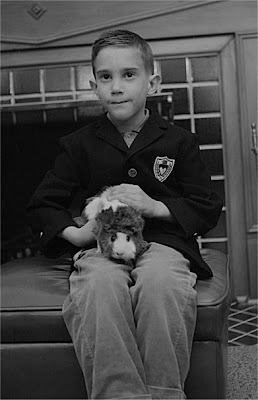 Unusual photo of a boy and his Guinea Pig. The photo is from the 1960's.